The lender’s counsel would then contact the borrower and advise him that the loan is in default. This should be done in writing in compliance with the required New York laws. In New York, the borrower must be given 120 day’s notice if their primary residence is the property subject to foreclosure. This means that no action may be brought until the 120 notice period has expired. Failure to give this notice may result in the action being dismissed, or a motion for summary judgment being denied by the Court. Once the notice period has expired, and if the borrower has not taken steps to remedy the default, a foreclosure action may be commenced in the appropriate Court. Another important step is for counsel to order a foreclosure search from a title company. 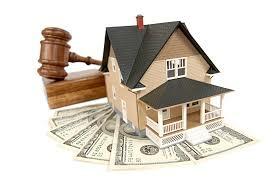 This search will show any other parties with a lien or judgment on the property. For example, there may be a second mortgage, or home equity line on the property. Any such entities must be named and served with the foreclosure complaint. The reason for this is that the foreclosure process results in acquiring title to the property as well as extinguishment of any other liens on the property. If secondary lienholders of the property are not served with the foreclosure complaint, then their liens may survive the foreclosure process, and title to the property will transfer subject to those liens. This is not a good outcome for the first mortgage holder. After foreclosure, she wants to have title in her name, and not subject to any other liens or judgments. After the action is commenced, the Court will order a foreclosure settlement conference. This is an opportunity for all sides to appear, and attempt to negotiate a resolution without further Court proceedings. The lender may offer a lower interest rate, or reduced payments, in an attempt to resolve the default. If the case cannot be resolved in this manner, the Court will transfer the case to the regular trial part, and the litigation will continue. Any individuals who may hold defaulted notes and mortgages are encouraged to consult our firm to discuss the details of starting foreclosure proceedings.